I am no beauty guru, I’ll be upfront and honest about that! However, I do love reading about beauty techniques and tips. Since I live an active lifestyle I have changed my beauty routine/regime a lot. I thought I would start out by sharing some of my all-time favorite haircare products! I have been using Wen for a year now, and when I first started thinking about making the switch I was researching reviews all over the place! It was easy to find mixed reviews or bad reviews but it was a challenge to find good reviews! So, obviously I have given this hair care system a fair shot, and I love it! Curious as to if it may be the right choice for you, or why someone may like it? Read on! I have been on the search for the holy grail of hair care systems for years. I’ve tried drugstore brands, middle brands and high end brands. But nothing has struck me as “I can’t live without it” quality or results. Since working out 6 out of 7 days a week leaves my hair drenched in sweat, I have been washing it daily. This has resulted in somewhat dry, frizzy and just not my normal health of hair. So the hunt continued…..until now. 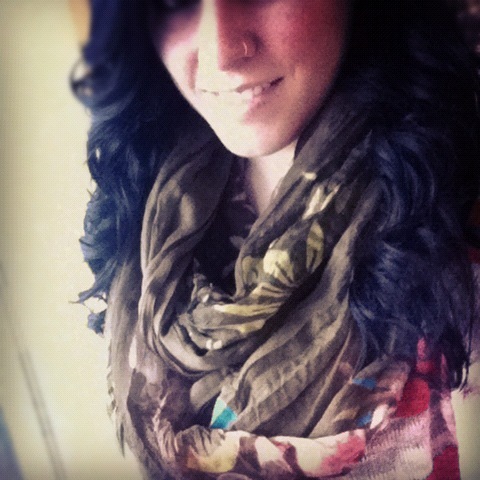 The other week I ordered this gorgeous scarf that I have been swooning over for months now from Three Bird Nest! The Cornelia Infinity Scarf! It finally arrived and I couldn’t be happier! I absolutely LOVE it! It’s light, not too thick, and beautiful colors/pattern! She’s got some awesome pieces on her Etsy, scarves, head bands, leg warmers etc. Adorable!!! I’m also totally loving the Lavender Floral Chiffon Headband! I have a 15% off coupon code for you to get some goodies of your own from Three Bird Nest!!! YAY!!! Just in time for the holidays!!!! Eyeliner is pretty amazing, it creates a statement, makes your lashes look fuller and just has this way of creating drama! I love jet black eyeliner, and don’t want it to smudge! I personally prefer liquid liner, but let’s face it….I don’t have the steadiest of hands. These two eyeliners are my go-to! 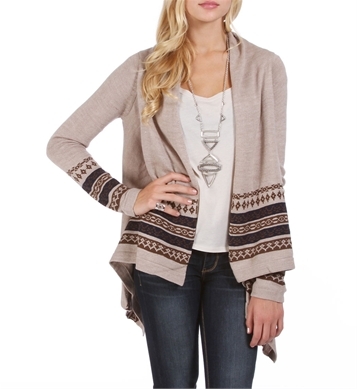 So, for those of you who know me this will come as no surprise….I absolutely LOVE seasons….especially fall and winter. I love the changes in the air, the environment, people’s attitudes, the foods, music, decor…everything. I particularly have a love for traditions and seasonal activities. Growing up, my family created lots of great traditions and seasonal things. For example, ever since I was three, on our birthdays we got to pick our breakfast menu and get breakfast in bed! We always play Christmas music and decorate the day after Thanksgiving, we always open a present of new pajamas on Christmas eve, and I always make gingerbread cookies. We just had some wonderful things that we did every season every year. As I get older, I find that I tend to cling to these traditions, maybe because they remind me of childhood, or simply because I love them. Either way, I love creating memories and embracing the changing seasons. 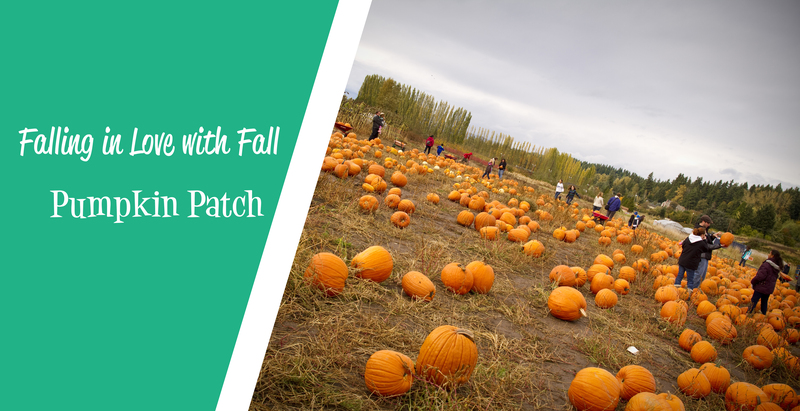 One of my favorites for fall….is going to the pumpkin patch! 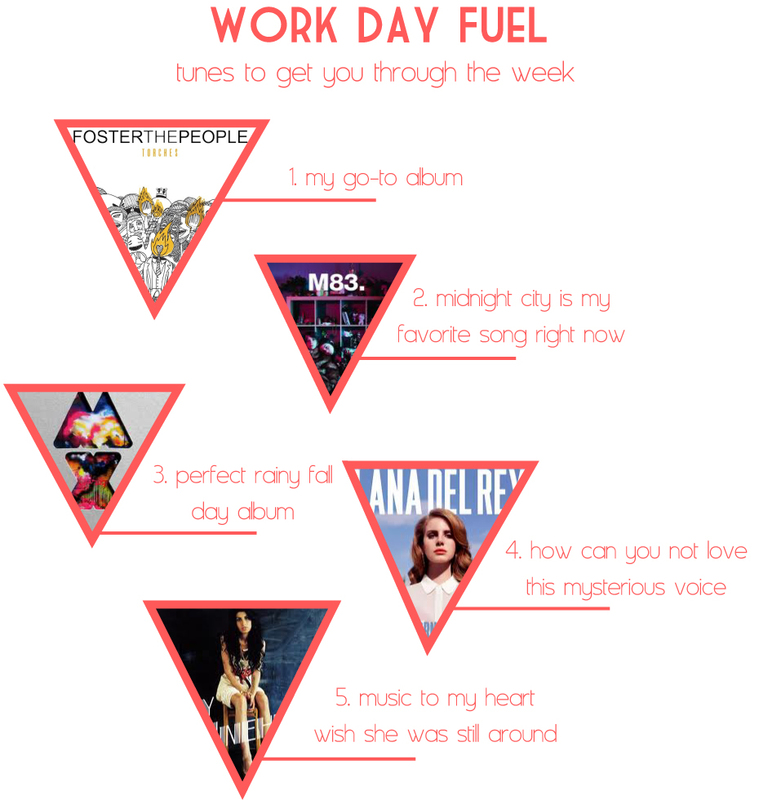 Thought I would share with you all some of my favorite albums to listen to during the work week as I am plugging away at designing. I sometimes forget that I can put my headphones in and instead accidentally sit in silence. As soon as I remember, I get excited, open up my Pandora and end up tapping my foot away to some awesome tunes. So here are some albums I recommend when you are being creative or just in general! I have this dream- a dream that makes my heart bleed, brings tears to my eyes, and makes me want to jump up and do everything I can to reach it. Everything within me is screaming at me to reach this goal, and to give everything I can to make it happen. I don’t know if you have something that you are just so passionate about that you cant help but feel as though your heart bleeds for it? It took me quite a while, a long journey, and lots of experimental pieces to reach the point where I finally realized what it is I can not stand to live without. I never set out to have this passion, nor did I pick this path for myself. I never dreamed I would decide or discover to spend my life pursuing this goal, in fact it is just as a surprise to me now as it would have been years ago. Yet, at the same time, it is not a surprise at all. The pieces all just naturally came together and I had no idea until later…much later. I don’t know about you, but it always seems to me that people, including myself, are afraid to make an apartment a home because it is often not a permanent residence. It seems scary and pointless to do things like paint, decorate, and really make the space livable and comfortable because you’re just going to have to paint it all back once you leave and who knows if everything will look good somewhere else! Well, stop fearing and start doing! 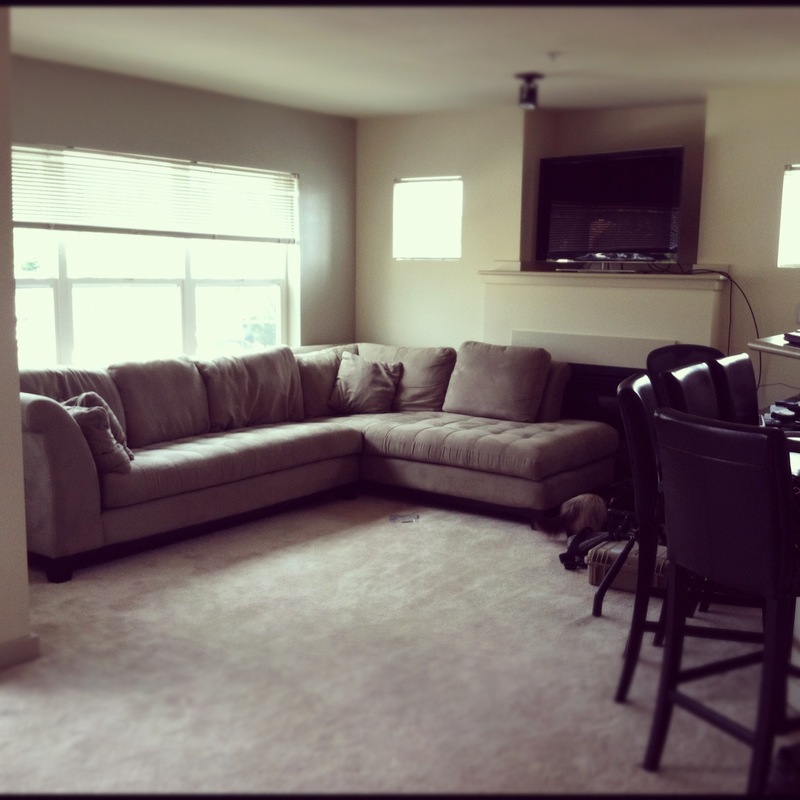 My fiance just recently moved into a new apartment with his roommate, and it will be the home we live in once we are married. So, naturally, since currently just two bachelors reside in the space, it lacks furniture, personality, livability and comfort. It consisted of computers, desks, beds, and……food :) So, I set out to make it a HOME.